Last week I drove up to Tower Hill Botanical Garden in Boylston, Mass., about an hour’s drive from Providence. Tower Hill is the home of the Worcester County Horticultural Society (that’s Wussta to all you non-New Englanders), a non-profit organization that is the third oldest horticultural society in the U.S. I took the above photo from just outside the visitors center. 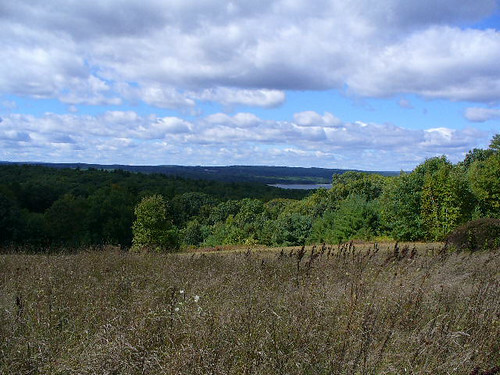 The lake near the center of the pic is Wachusett Reservoir, a public drinking water supply. To the right is another view of the reservoir from near the Tower Hill Summit (a whopping 641 1/2 feet though it looks like it’s a lot higher doesn’t it?) I don’t know what the mountain in the background is called, but there is a place in Mass. called Mt. Wachusett so that’d be my guess. It really was so beautiful up there, very fall-like and windy. Although the leaves haven’t really turned yet, all the plants and trees look pretty tired and you can tell the time has come. It reminded me of of an area that I’m pretty familiar with near Asheville in the NC mountains. 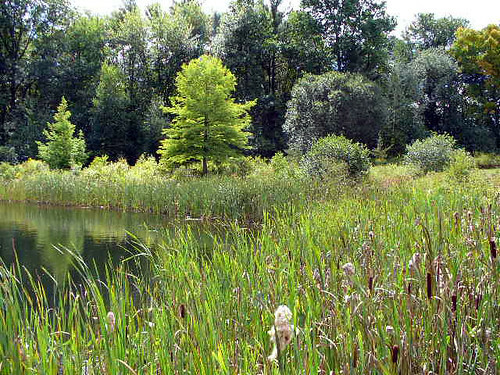 Tower Hill has several “themed” gardens and natural areas as expected; one of my favorites was the Wildlife Refuge Pond. Here are a couple of different views. 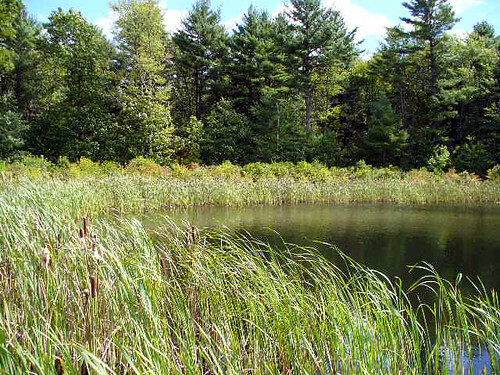 Lots of the usual suspects–cattail, rush, sedge, ferns, shadbush, blueberry, winterberry, inkberry. 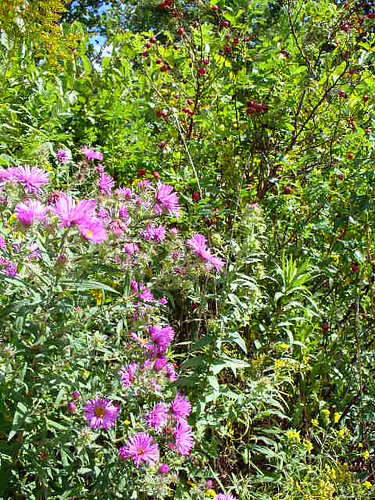 In full bloom were Joe-pye weed, goldenrod, and the ubiquitous New England aster. Below is a pic of asters with rosehips–I think it was Virginia rose? More photos from some of the other gardens in a future post. One of my favorite places to visit! Thanks! I LOVE Tower Hill. Recently visited with a friend for the first time, and plan to join. They have a wonderful schedule of classes, events, shows, etc. Can’t wait to take my son who lives in Eugene OR there. Thank you for the beautiful photos. Quite honestly, Tower Hill Botanic Garden is the last place on Earth I would recommend to visit. Pompous Director, mediocre gardens, lousy food, overpriced gift shop. 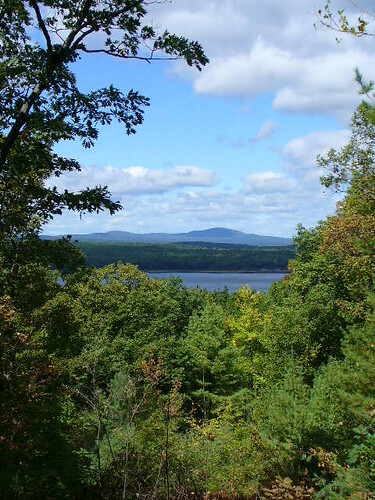 I would highly suggest that you consider other destinations if you visit central Massachusetts.